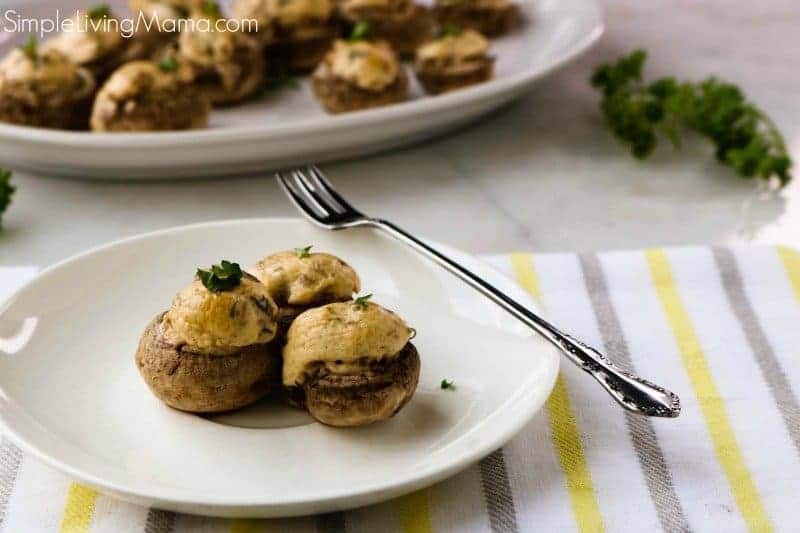 When looking for the perfect party appetizer, look no further than these delicious cream cheese stuffed mushrooms. This recipe has been a simple living recipe used in my family for years. 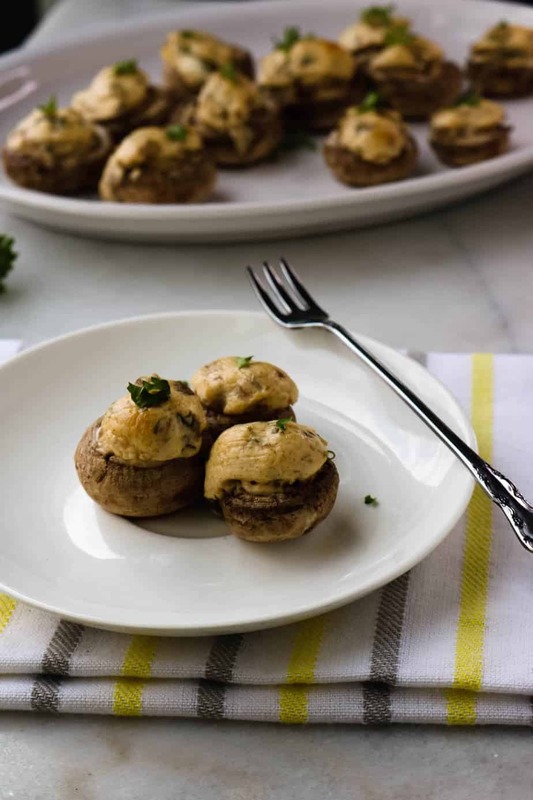 Whether it’s Thanksgiving or Christmas, we always have stuffed mushrooms on the menu, and I’ve even been known to make stuffed mushrooms just because! 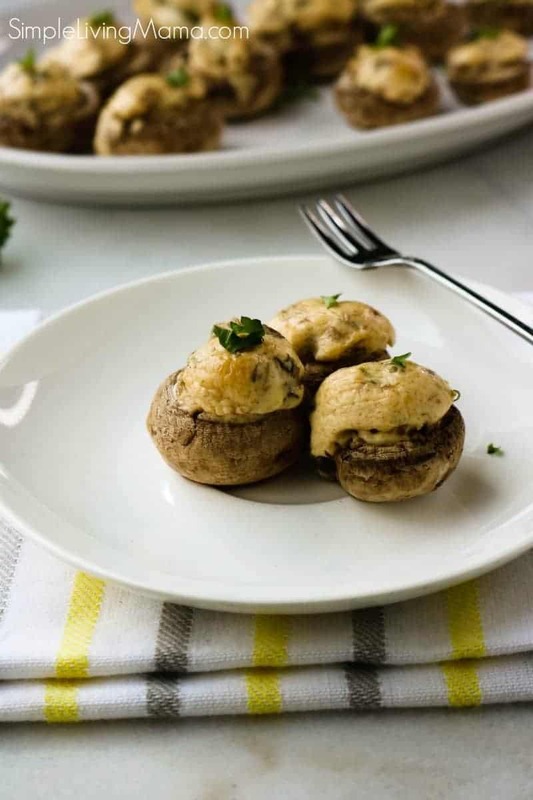 My daughter in particular absolutely adores stuffed mushrooms, and these are made with cream cheese and spicy Cajun seasoning for an extra kick! We are going to use button mushrooms. 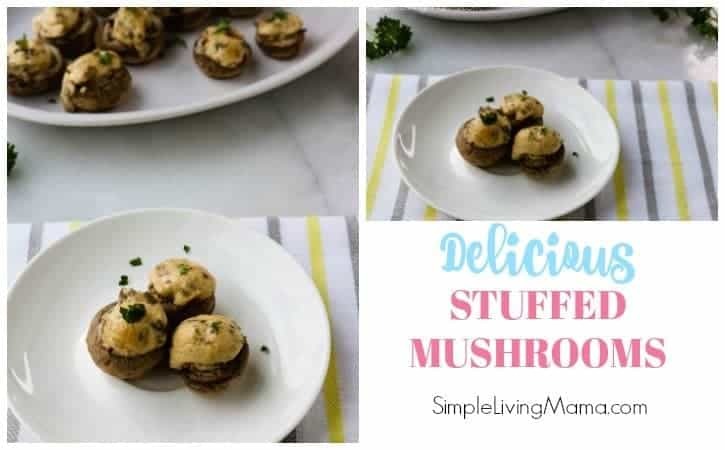 I like button mushrooms because the stems are easy to pop out so they are perfect for stuffing. Use one 8 ounce package and clean any dirt off the mushrooms with a damp paper towel. Do not rinse them, they will get mushy and gross. Pop the stems out of each mushroom. Finely chop those stems and add them to a pan with parsley and Cajun seasoning. 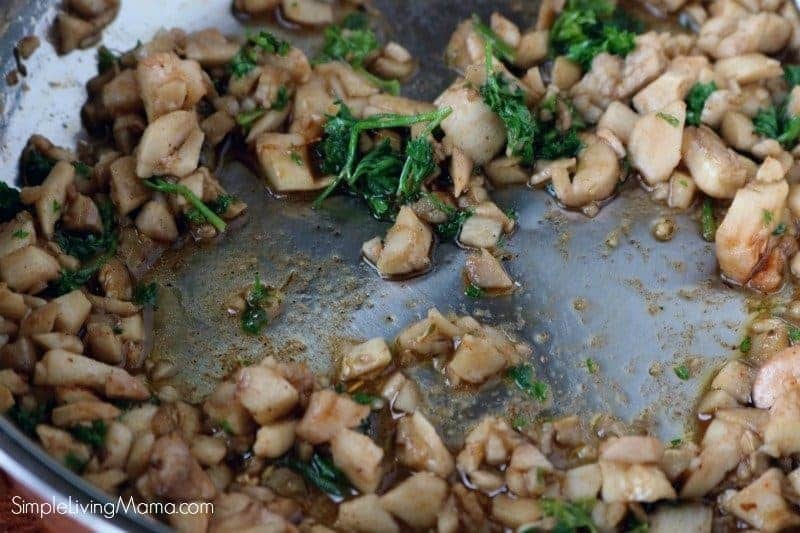 Saute in a tablespoon of olive oil until soft. Yummy! I love sautéed mushrooms! 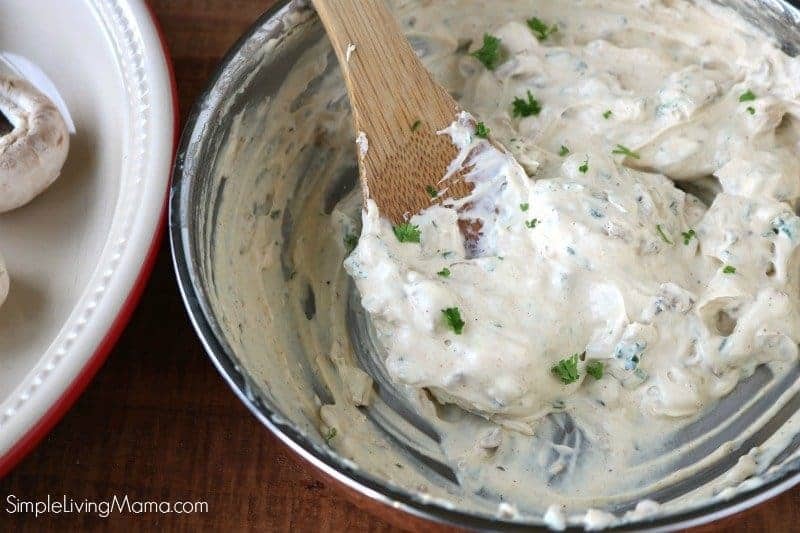 Add in the cream cheese and stir until it’s all melted together. You will have a delicious, creamy cheese stuffing! Yummy! Add some more fresh parsley if you’d like! Now it’s time for the fun part. Stuff those mushrooms! I like to fill mine up a little over the top. Another great add-in to this filling would be some bacon crumbles. Mmmm, cheese and bacon. Yes! 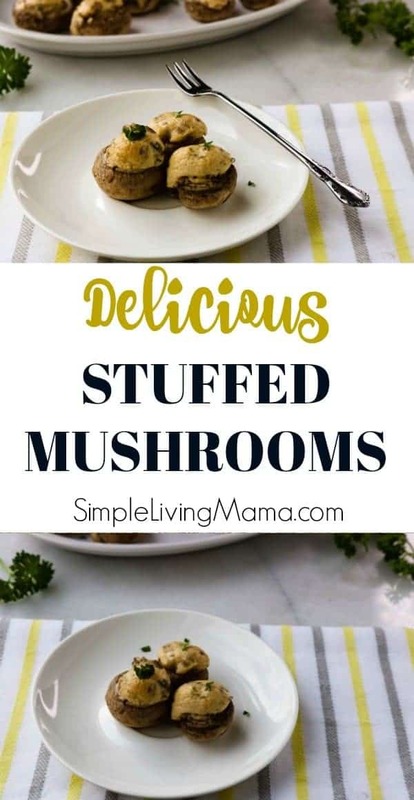 Bake those delicious mushrooms in a 350 degree preheated oven for 20 minutes. The cheese gets all perfect. a bit crunchy on the outside, creamy on the inside. Delicious. 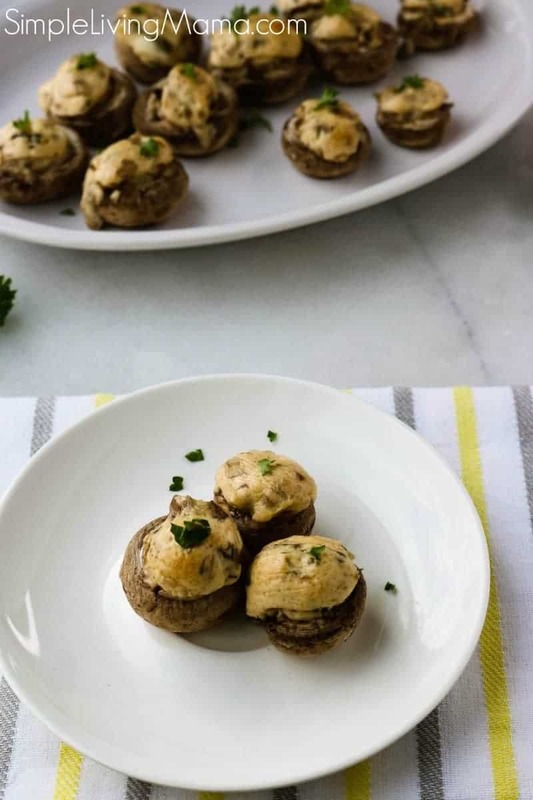 These stuffed mushrooms aren’t too complicated and are just perfect for any party or family gathering. I seriously have to make a double batch just so everyone can have more than one. You know you can’t eat just one of these bad boys. Nope! 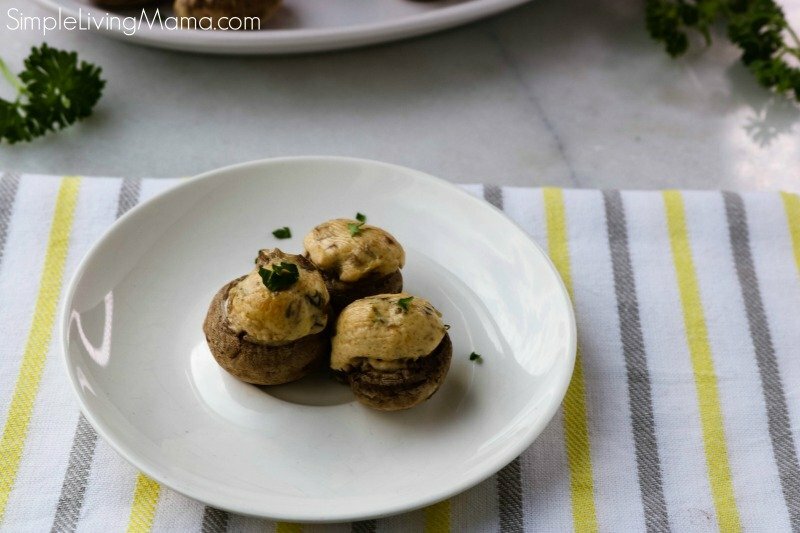 I hope you enjoy this incredible cream cheese stuffed mushroom recipe! Let me know if you try it! 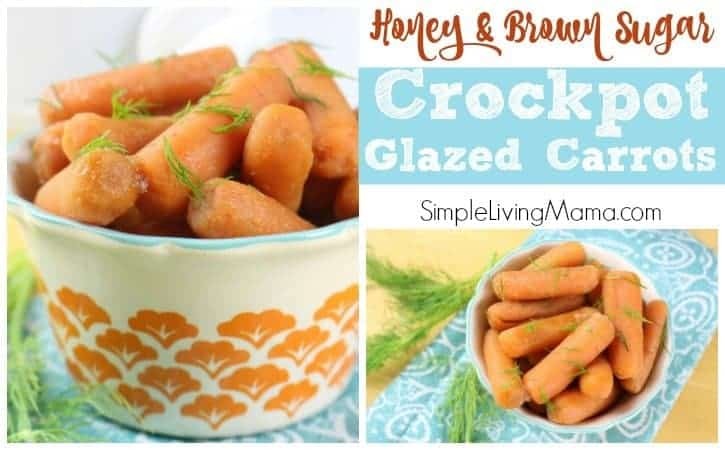 You’ll find more delicious recipes in our simple living recipes box! 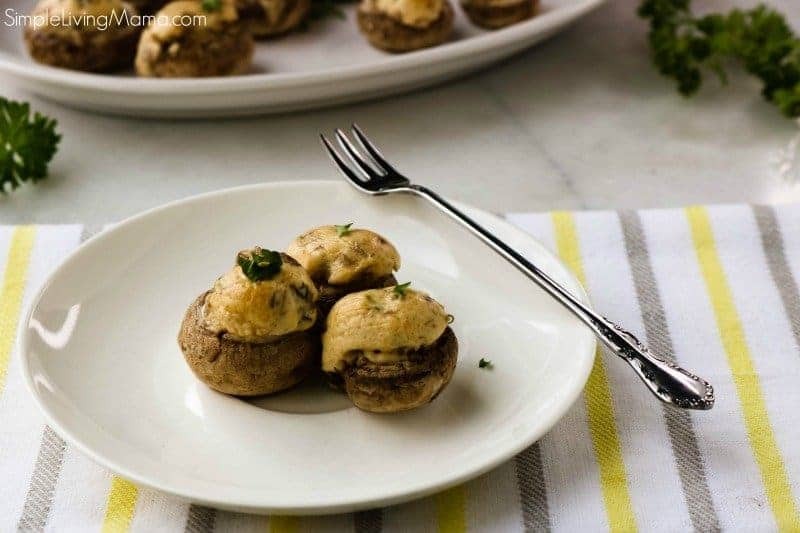 Delicious mushrooms stuffed with a cream cheese and Cajun seasoned mixture. Remove stems from mushrooms by gently popping them out. Chop the mushroom stems up and then sauté them in a tablespoon of olive oil over medium-low heat. 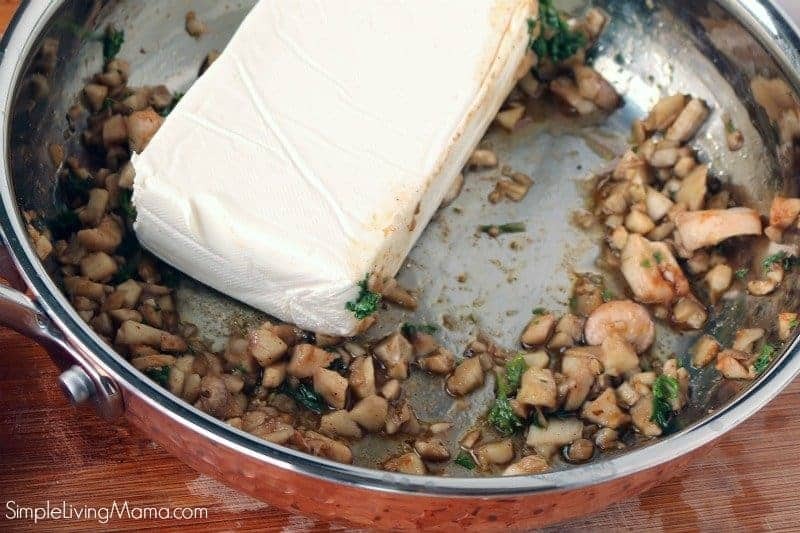 Add cream cheese to chopped mushrooms on stovetop and stir together until the cream cheese has completely melted. 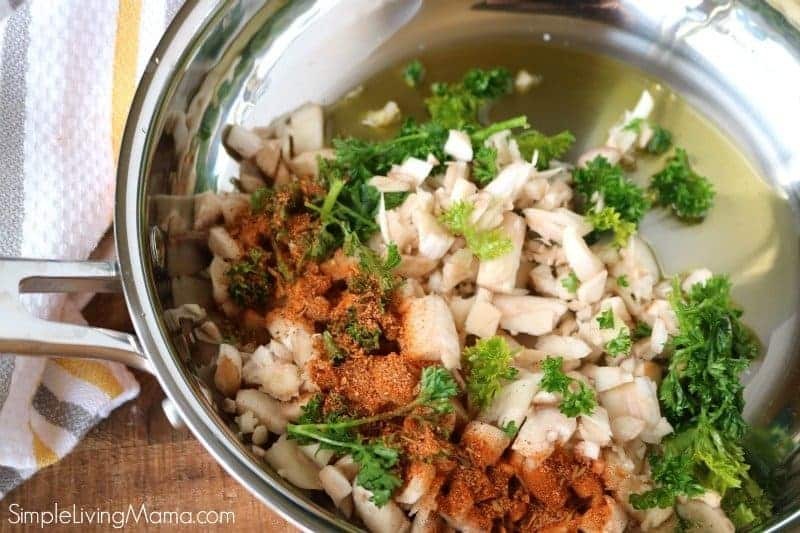 Stir in parsley and Cajun seasoning. 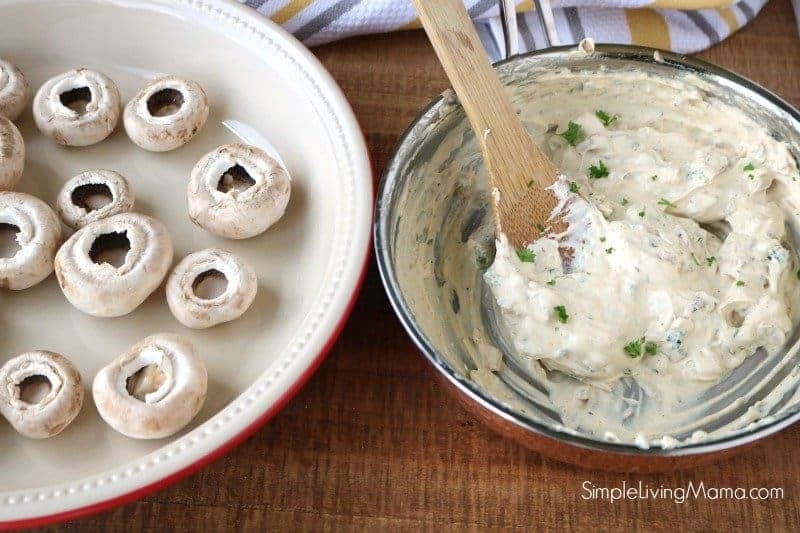 Fill mushroom caps with cream cheese mixture. Bake for 20 minutes and then serve.